New Cardiovascular Horizons (NCVH) in Lafayette, LA partnered with PMCJAX for website design and digital marketing services in 2012. We were honored to be chosen from among several of the top healthcare web design agencies in the country. Our initial partnership included website development projects for three nonprofit medical foundations concurrently. 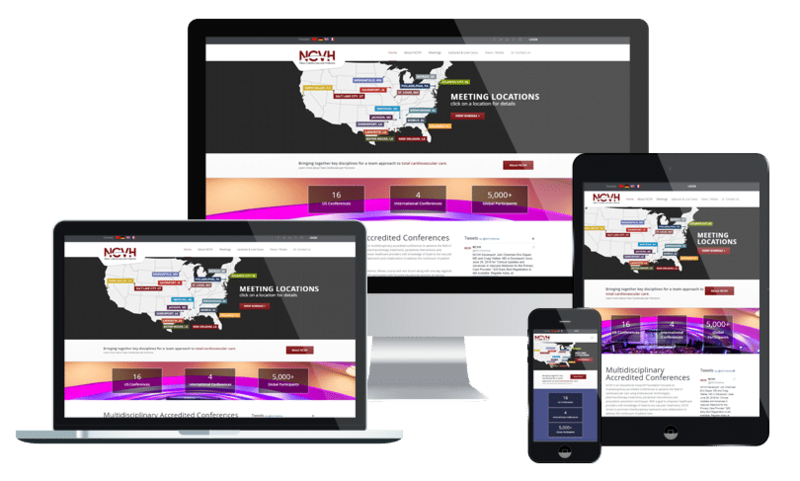 Exclusively for NCVH, our partnership has now produced two custom websites over the years, and we have assisted on several healthcare website design and marketing projects across multiple disciplines. NCVH continues to grow each year, providing CME conferences across the country to advance the field of peripheral vascular disease treatment.